Jindal I V F & Sant Memorial Nursing Home was established by Dr. Umesh Jindal, who after extensive training in both India & the United States, first established the Gynae & Fertility research centre in December 1989 at Chandigarh Medical Centre, Chandigarh (CMC-Sec 17, founded by late Dr.P.N. 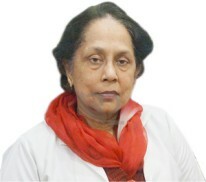 Chhuttani, the former director of PGI, Chandigarh) and then in 1995 started the operations of her own Jindal IVF Center. The first IVF baby was born in this center in 1996. The current success rate with IVF at the center is up to 40-50%. In 2001, Intra Cytoplasmic Sperm Injection (ICSI) was introduced in this facility and the first ICSI baby was born in 2002. In 2004, the center was shifted to a new building at #3050, Sector 20-D housing a state of art, ART(Assisted Reproductive Technology) IVF lab equipped with all the latest equipment. In March 2014, a new OPD has been added in SCO 21, sector 20 D, (Opposite to nursing Home building). Till date, hundreds of babies have born with various ART techniques. Techniques of embryo freezing and assisted hatching were also added to the basket. For conquering infertility, they offer a result oriented management exploring all the latest options in consultation with the couple & their families. Besides infertility, the needs of all kinds of obstetric and gynecological patients are also catered to in this center. A team of highly qualified, trained & dedicated doctors and nurses on duty, round the clock look after all kind of obstetric emergencies. Consultants in Pediatrics, Anesthesia, General surgery, Urology and Dermatology are also available on call, as and when required. A collection center for all the laboratory requirements is available within the premises. The center has accumulated a large experience and expertise over the years. It attracts patients not only from the adjoining states of Punjab, Haryana and Himachal Pradesh but also from distant areas. Overseas patients from the Middle East, Europe, Canada and the United States comprise almost 20% of clientele being served. The core team of the doctors is also active in academic and educational fields; several training activities, research projects, workshops and conferences are organized by the center. Students from various other countries enrol themselves for their training & research theses at Jindal IVF Center. 4. High Risk Obstetrics Care: LSCS (Lower Section Caesarean section) Delivery, Normal/Complicated Delivery, Painless Delivery, IUGR(Intrauterine Growth Restriction) Delivery, Premature Delivery, Multiple Pregnancy, Pre eclampsia & Eclampsia Pregnancy etc. The IVF lab is accredited by the Indian Council of Medical Research (ICMR) and the Indian Society of Assisted Reproduction (ISAR). The center is recognized for the Gynae Ultrasound training by the Federation of Obstetrical and Gynaecological Societies of India (FOGSI).